"People have a lot of opinions about him and like anything else, my opinions can only be based on my experience"
In our latest issue of the magazine, Exclaim! 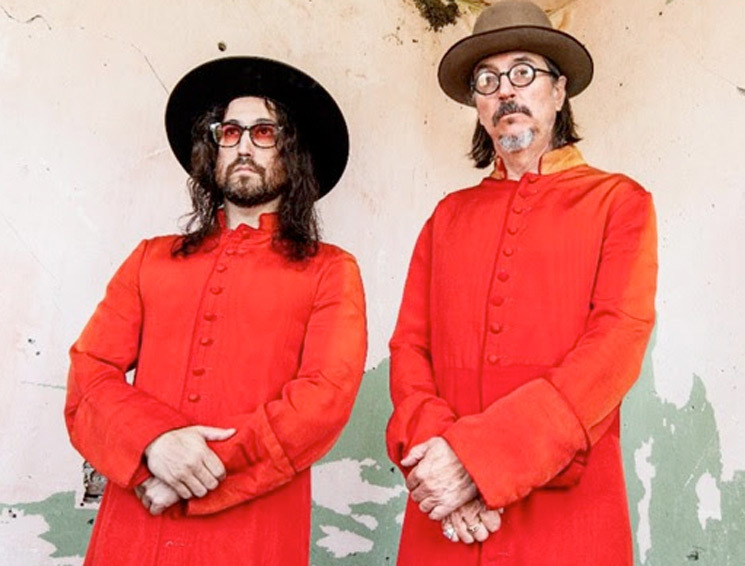 conducted our monthly Questionnaire feature with Sean Lennon, most recently of the Claypool Lennon Delirium, his project with Primus's Les Claypool. At one particularly reflective moment during the conversation, Sean Lennon pondered some of the fame he's brushed up against in his life and one particularly odd memory came to him: hanging out with the late Michael Jackson at Neverland Ranch. As HBO's Jackson documentary Leaving Neverland continues to make headlines, the public, media and Jackson's Estate itself are responding to the doc. And though Lennon's childhood memories are nothing but positive, they remain fascinating. "I actually wrote a song about it, 'Bubbles Burst,' on the last Delirium album," Lennon explains over the phone from his home in upstate New York (see the video at the bottom of the page), "and I think it's just one of many stories I have that are interesting from having a different kind of childhood but it's a song about being friends with Bubbles, Michael Jackson's chimpanzee, and spending time out at Michael's house in California with Bubbles and the boa constrictor and a bunch of other animals. "I think that was a super strange time, but not in a dark way. In an odd way, in a unique way. It was odd because Bubbles was all dressed up in dandy outfits and we were all running around playing videogames with this chimpanzee. It was a surreal scene. It was kind of part Charlie and the Chocolate Factory, part Dr. Doolittle, and part, you know, 'Motown's Greatest Hits' or something. It was a convergence of a lot of disparate universes that merged for a while. And that was a strange scene but it was really fun. I mean it was amazing to hang out with all those animals, but there was also something very eccentric about it, you know?" Though some horrendously disturbing and infamous allegations of sexual abuse of children have been made against Michael Jackson and are again the subject of conversation with the worldwide release of Leaving Neverland, Lennon only recalls fond memories. "He was the coolest dude I'd ever met for sure," he says. "I mean people, you know, they have a lot of opinions about him and like anything else, my opinions can only be based on my experience. But he was super fun to hang out with. I mean he was like a big kid, you know? "So yeah, the time that I got to spend with him was — it was like Disneyland all day long. He'd set up water balloon fights and pie fights in basketball courts. Just really fun stuff where he'd like invite all his friends over and there'd be two teams and everyone would dress in garbage bags and throw pies at each other. It was like super high-level fun and it was orchestrated fun and insanity. "I mean whatever happened with him and anyone else, I have no opinion of because I wasn't there, you know? But when I talked about it in 'Bubbles Burst,' the song, I wasn't trying to be critical. I was simply trying to document the truth. You know, 'This happened,' is all I would say. I think a lot of people thought I was criticizing him or not criticizing him or whatever but it wasn't about that. The song was really just documenting a strange time — like a surrealist moment of my life that was memorable." The Claypool Delirium's South of Reality is available via ATO Records now. 'Simpsons' Showrunner Al Jean Says Michael Jackson Used the Show "to Groom Boys"